Our 2013 Kalamazoo River Institute is well underway, and our intrepid trip leaders and participating journalists are sending some great photos and updates from the road. 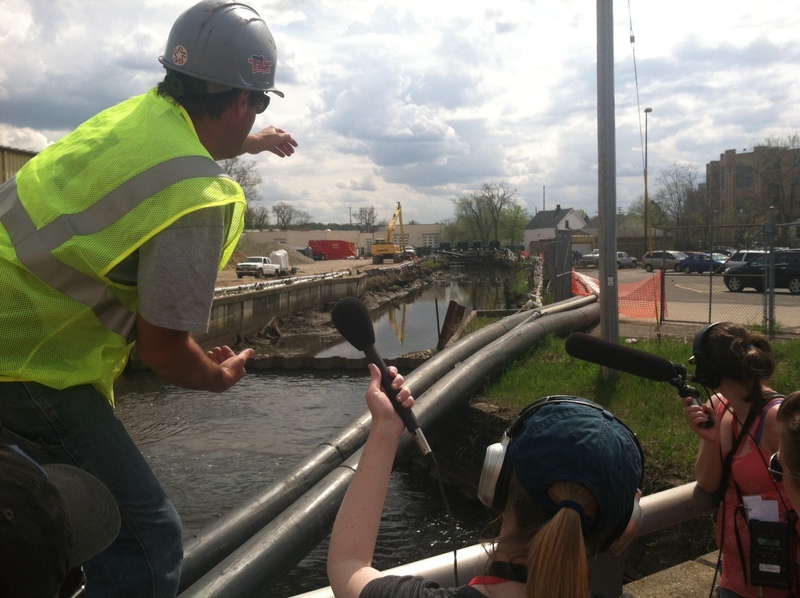 Yesterday, the group of 16 journalists discussed Superfund sites, and visited Portage Creek in Kalamazoo. 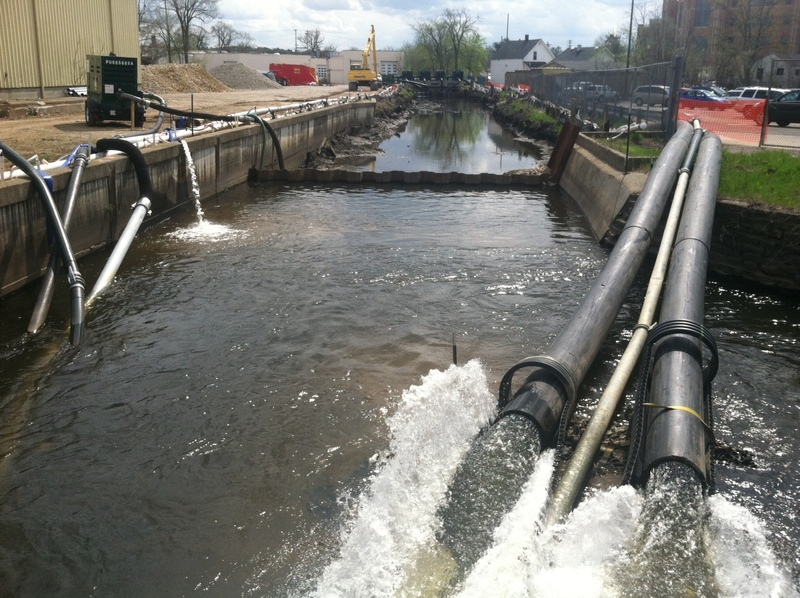 Here the EPA has redirected the flow of the creek and is actively dredging PCB- contaminated sediments out. This is the only actual removal they've done on any of the Kalamazoo's Superfund sites and it's considered a "time critical action" due to the proximity to the core of downtown Kalamazoo and a nearby daycare center, public park, school, and other sensitive areas. 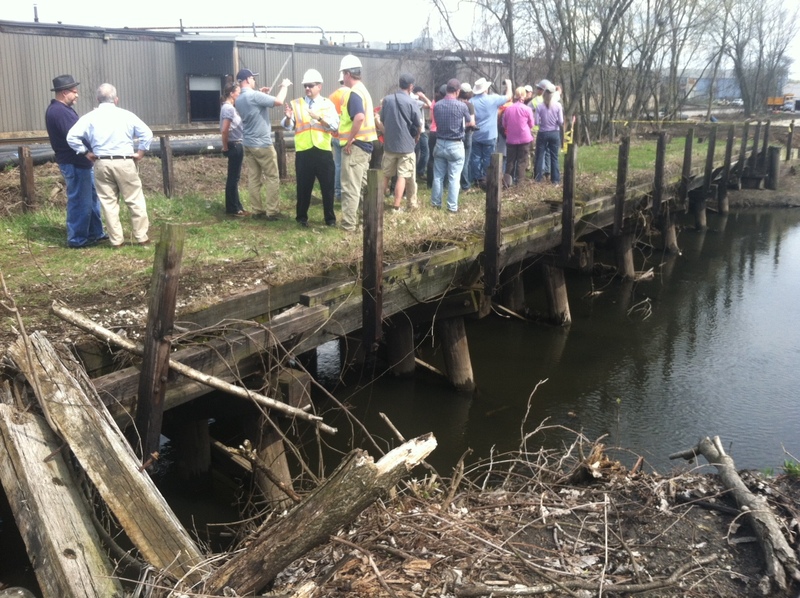 The group met with EPA on-scene coordinator Paul Ruesch (the gesticulating guy in the vest and hard hat), to get first-hand, on-the-ground insights about what a Superfund clean-up really entails. Stay tuned throughout the day, for more updates from the road! The group will be meeting with representatives of Enbridge Oil today, to discuss the ongoing effects and clean-up efforts resulting from the July 2010 crude-oil spill in Talmadge Creek.